O ne of my most favorite houses ever is my blogging buddy Meg’s home. I know she is becoming quite popular, but I discovered her long ago so we go way back and I am pretty sure I am her BBFF (grin). In fact, her craft room was featured on my blog late last year, that is how far back we go. Her house is one of those rambling big old family houses (I think it is in the Midwest) that just feels like home to me. 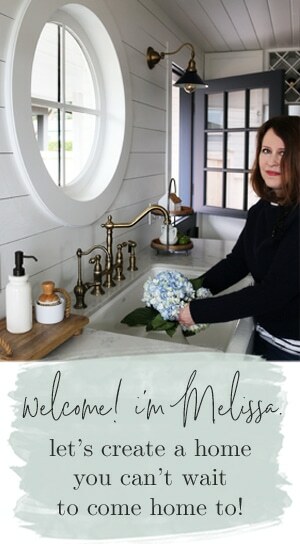 Not only is the home gorgeous, but you can see through her fantastic blog that her focus is on the life she creates for her family, not on trying to impress us with her decorating skill. That makes her a kindred spirit because she really emulates what I feel is an authentic life. You can’t help but love her when you see her family kitchen. Glamorous with a chandelier yet homey with seven chairs lined up around the counter ready for their family pancakes. Love her. Could you just die to soak in that tub? Meg says she’s never been so clean. I’d be a prune. Now, check out this old buffet. You know I don’t like to paint so this makeover is truly inspiring to me…this is the before picture. Look below for the stunning after photo…WOW! A white coat of paint can really make an amazing difference. Modern stereo equipment, CONCEALED! Let this be a lesson to all of you. Don’t you try to sneak a concealment onto your blog without me noticing. I can spot these a mile away and I will expose them for all to see. I love this concealment. This is the perfect new old bathroom, old and charming, yet blissfully new. Thanks, Meg, for letting me feature your private getaway! 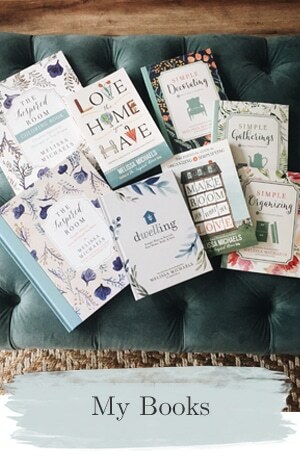 I love to share inspiring rooms from readers, so feel free to share YOURS with me! I love the tile in the “old” bathroom and the white cabinet is beautiful. Thanks again for the advice on my screened in porch, I’m going to Home Goods today maybe I will find a few things. Wow, this is one of the most gorgeous bathrooms I have ever seen. She has done so well achieving a new bathroom that looks like it belongs in the house. I love the bar stools in the lovely kitchen also. Another gorgeous post. I remember the exterior of this home and loved it. What a beautiful look inside. Lovely decor. What great living space so tastefully done. Thanks for the peek inside. This is beautiful! I love the Hydrangea in the birdcage. So fresh. Thanks for the super tour. Now I have an urge to redecorate– again! I have to say I love EVERY ONE OF YOUR POSTS…Thank you for The Inspired Room! Thank you for pointing us in Meg’s direction. I love every detail of her home. The buffet, the silver tray on her stool, and especially the old painted door just leaning against the wall. I have so many of those doors in storage, I may just have to bring one out. Charming, soothing, elegant – all the best words to describe such a wonderful place. A true place to withdraw from daily life and recharge to face it again. Thanks for sharing. I’ll have to go look on her blog. So much inspiration in one place! I am loving the wall color, the painted cabinet and the tine little ‘Live out Loud’. I will certainly be looking at my own bathroom now to see if there is anyway to replicate this look there. What a gorgeous retreat! Thanks for the link. Can’t wait to go check out the rest of her blog. this woman has it DOWN! love it!! Wow- this is beautiful! Everything from the repurposed buffet, side table, and old door to the details of the different textures, tiling, and white and silver accessories. Everything just came together naturally…simply beautiful! Awesome. I love the subway tile! White is my idea of a perfect bathroom. My grandmother had floor tile in her bathrooms just like this. She’s a semi-neighbor of mine… Great feature! My husband is taking our 4 kids camping next week so I can redo our bedroom/bath and I will be stealing some ideas from this post. Hi Melissa! 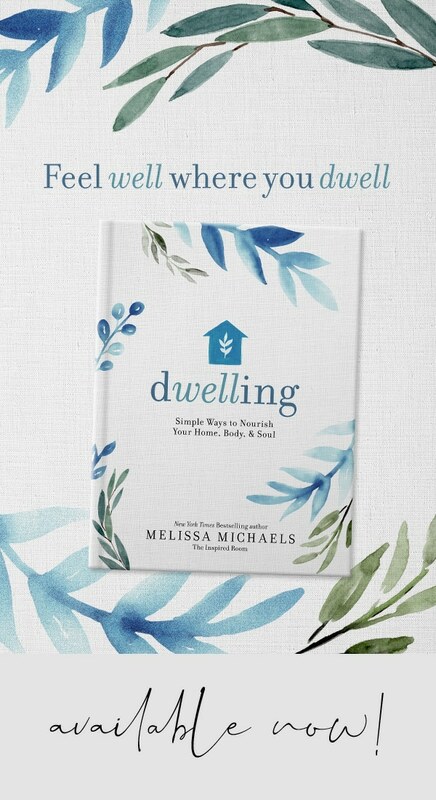 I just found your blog and read all about your philosophy on decorating–THANK YOU for putting words to my feelings!! “Authentic Living”…that’s how I’VE felt all these years!! I just started blogging a couple of months ago….please grab a glass of iced tea and come visit me sometime! I don’t think I’ve ever visited Meg. I will now, though! Lovely home! What a lovely home! And I could live my life in that bathroom! It’s perfect! Hey thanks for stopping by and opening you big mouth!! :):) Your comment was just what I needed. thanks Melissa, so an Inspired Room, I am drooling in Sydney!!!! this bathroom is stunning! and totally my style. that mirrored table is to die for. thanks for sharing this, Melissa! thanks for stopping by, too…life has been super crazy for me recently, and lately I’ve dearly missed keeping up with your blog (and everyone else’s I usually frequent)! It’s a lovely post to come back to. Hi! I found your blog and I think it’s very nice! I love reading about lovely homes! The bathroom is simply stunning! I’m Italian and passionate about home decor, creativity and antiques! I hope to hear from you! What a gorgeous bathroom ! She has great ideas ! very inspiring ! What a beautiful home! I love the bathroom…that tub is heavenly! What a gorgeous home! Living in space challenged Europe for the last decade means I am always envious of American homes -but this one truly is to die for! Thanks as always for a beautiful blog! Melissa, I am completely in awe of Megs superb decorating style. This bathroom is a triumph! What an incredibly beautiful and enticing space. I have to agree with the majority and say my favourite pieces are the mirrored table and birdcage…..such a simple touch that speaks volumes. P.s I’m very curious as to what the paint colour is on the walls? Very charming, Melissa. Thanks for sharing this with us! That bathroom is absolutely adorable! What we love most about it is that door – it’s old, need of a coat of paint and PERFECT!! Thanks to Meg for sharing this with us!! Lovely indeed. So fresh and airy. I also stopped by Meg’s blog; zesty. Thank you for stopping by!!! Wow, That bathroom is SO inspiring! I LOVE that she has painted the wood furniture white, I have wanted to do that but am a big chicken- now I just might give it a go! Thanks for the great post! This bathroom is favulous. The various furnishings make it very appealing. I would love to have such a retreat in my own house. The bathroom is amazing — the little mirrored table, birdcage, rustic wood elements — would be like escaping to the French countryside every time you set foot . . .
Love, love, love this bathroom! The tub is fantastic but I really love the buffet transformation. I’ve been searching for something for my bathroom – it just has a pedestal sink, and I need more storage – this looks like the perfect solution! As always, I love your blog and the wonderful ideas you bring to us. I too would never want get out of that bathroom/tub. Clean and shriveled all the time. i am blushing over here! goodness you sure talked me up. i am so happy that everyone likes our space. we feel so incredibly blessed to have our home and get to really LIVE here. if you could actually see it today….whoa. this house is a wreck. thanks melissa. you made me feel so special today. What a house!!! I just love these America homes. They look real “home” for me too. 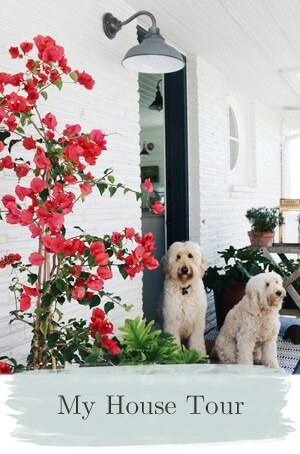 hi….I am a big fan of Meg’s blog and style!!! 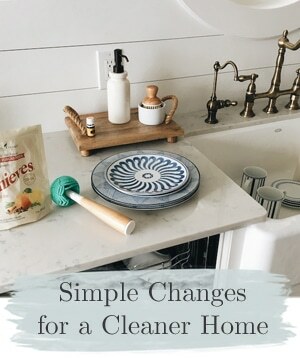 She has an amazing way of balancing the old with the new…..something we are being challenged with as we add on a new addition to our home that was built in 1855. I am loving your blog for all of the inspiration!!!! What a wonderful home! Thanks for sharing it! Such a gorgeous bathroom, I love how she stayed true to the spirit of the home. Oh and I just love the weathered door up against the wall. Glad you are all enjoying this bathroom as much as I do! :-) And Meg, you are a trooper for letting us all in! Yep, you are my BFF! What a lovely bathroom…the old door is enchanting~! Oh… and I finally put the interview of the Hamptons designer up today! Just gorgeous! I especially love the floor it’s so intricate. Oh how beautiful is that? 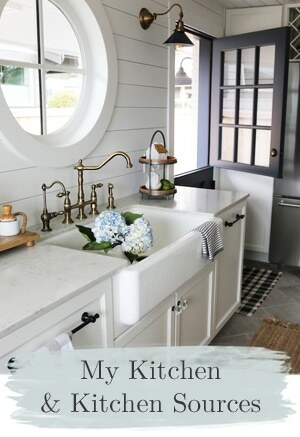 Love Meg’s bathroom, her home, her blog, and her!! Thank you Melissa for sharing your BFF with us – you both are very talented sweethearts. Once again–spectacular! Every detail. Now I’m on the hunt for a jeweled frame like hers. LOVE it. It’s the flooring in honeycomb-tile that gets me! I LOVE IT! Also, the little things: tub faucet offset to the side, framed artwork/mirror sitting on the chair rail/wainscotting instead of hanging AND the fact that she didn’t frost the ENTIRE window! I wonder if you can see the stars at night when you’re soaking in that glorious tub?! GREAT post! Whoa! I know that house! I grew up in that small midwest town! So cool! I’m off to check out her blog. I love what she did with the bathroom!